The smallest moments can cause huge changes in someone’s life. Take, for example, what happened when this teenager sat down to play the piano while waiting for a friend at the mall. 18-year-old Monntel West’s life might very well be changed now that a video of West playing the piano has gone viral. 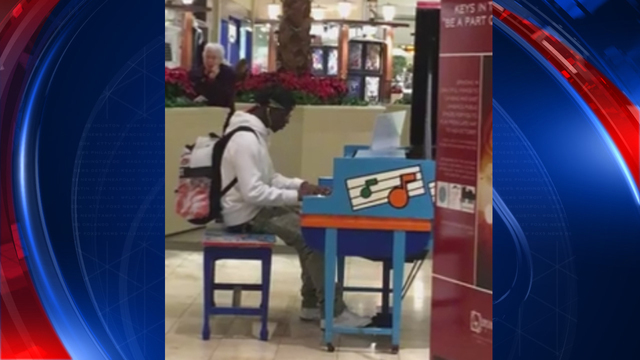 Playing at a piano in a mall in Lansing Michigan, West didn’t realize he was being videotaped. West, who taught himself to play the piano in the 8th grade, played a beautiful rendition of River Flows in You by South Korean pianist and composer Yiruma. As for what made West sit down and play that day, West said he was at the mall to meet a friend, was bored, and just sat down to play. He said he had no idea that he would become the star of a viral video. West told the Lansing State Journal, “If I did get lessons, I think I could be better…You can always get better.” According to the Journal, West taught himself how to play by watching YouTube videos and practicing on a keyboard. Hadley said she passed the video on to the Ellen show with Ellen Degeneres, hoping to draw attention to the young man’s talents and gifts. West says he plans to study Music Management Courses at Lansing Community College. He’s now getting scores of offers for free piano lessons. And it seems he has a very bright future in music, indeed.